Not all coughs are created equal. Most people suffering with Chronic Cough have had this condition for months or years and have tried, but failed, different cough remedies. 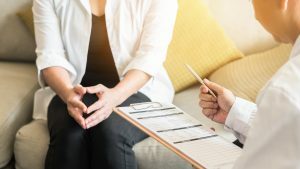 For this reason, a diagnosis of Chronic Cough should carefully consider each person’s medical narrative and history. Dr. Mandel Sher and Center for Cough team are cough detectives who listen to each patient carefully and cull vital information from medical records to put-together your cough puzzle. Center for Cough offers a comprehensive scope of services in one office location to precisely identify the cause(s) and trigger(s) of cough. Dr. Mandel Sher’s and Center for Cough’s services are all traditional, evidence-based medicine. Dr. Sher’s approach to putting-together your cough puzzle and cough treatment includes innovative components based on Dr. Sher’s role in groundbreaking cough drug development and appreciation of lifestyle and behavioral contributions to cough. Dr. Mandel Sher at Center for Cough is specially trained and one of few doctors in the Tampa Bay area using Rhinoscope during an outpatient office visit to examine nasal passages. Center for Cough also offers FeNO challenge to evaluate the role of asthma and non-asthmatic airway inflammation in cough. Dr. Mandel Sher and Center for Cough’s results are remarkable! Over 85% of patients demonstrate cough reduction and report an overall improvement in feeling good and the quality of their lives. Many of these patients have seen other doctors for their cough and tried and failed other chronic cough treatments before finally seeing Dr. Sher. Center for Cough recommends cough treatment that targets multiple cough causes and triggers all at once. This comprehensive approach is more effective in breaking the cough cycle and bringing much-needed and lasting cough relief. A trial-and-error approach to chronic cough treatment used by other doctors delays cough relief, increases frustration, exposes patients to unnecessary risks and side effects from medications that are not targeted to the precise type of cough, and waste money. 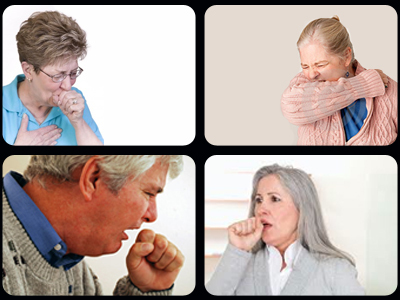 Chronic Cough is an under-diagnosed, under-treated, and under-appreciated medical condition in the United States. Dr. Mandel Sher takes the guesswork out of cough treatment! A comprehensive cough treatment plan is recommended at the end of the initial cough evaluation. Depending upon the precise cause(s) and trigger(s) of cough, cough treatment can include: over-the-counter and prescription medications, diet modifications, and easy and fast do at home voice exercises. Dr. Mandel Sher recommends cough treatment that balances evidence-based medicine with cutting-edge updates. As one of the nation’s leading Cough Doctors, Center for Cough participates in clinical research trials to evaluate promising new cough treatments. Cough has a vital function. Normal cough is a protective mechanism to prevent foreign bodies from entering the respiratory system and lungs. Chronic Cough, however, generally has no useful function. It only exists to irritate you and those around you. Therefore, the goal of effective chronic cough treatment is to normalize your cough, not get rid of it completely. Dr. Mandel Sher’s chronic cough patients demonstrate remarkable results. Over 8 out of 10 patients rapidly experience a measurable decrease in cough frequency and intensity and an overall improvement in life enjoyment. Please read what some Center for Cough patients say about Dr. Mandel Sher and the Center for Cough experience. Dr. Sher was the ONLY doctor I’ve seen to figure out the cause of and what to do about my constant problem with stuffiness and constant coughing. I believe in him 100%! Read more patient success stories. Schedule an appointment with Dr. Sher today. Learn more about Dr. Mandel Sher and Center for Cough.